Generally when we discuss “wars” among bike manufacturers we’re referring to superbikes; more displacement, more power, lighter, better brakes. You know, race bikes. This is not that kind of war. In a country where two wheeled vehicles are daily transport for a vast population, supersport bikes are not even in the game. The wars currently raging in India are not performance numbers but customer numbers, and they are between Royal Enfield and the newly-resurrected Jawa. Royal Enfield is and has been India’s segment leader in 350cc motorcycles that (for reference) cost around $2,000 USD. It has the largest dealer network in the country and is still expanding, though it has seen its growth slow down for three months in a row, in coincidence with Jawa’s introduction of their new motorcycles. While Royal Enfield’s numbers have cooled some, Jawa’s growth is explosive. They offered two models of their new bikes for pre-order and had to pull down the pre-order website in a little over a month because they’d sold out–of bikes nobody had even seen yet! To be fair Jawa is opening dealerships as fast as it can, and it has demo bikes “in-store” for folks to drool over and try out, but the popularity is a bit stunning, apparently both to Jawa and to Royal Enfield. Though unprovable, it seems obvious that Jawa is poaching would-be Royal Enfield customers. 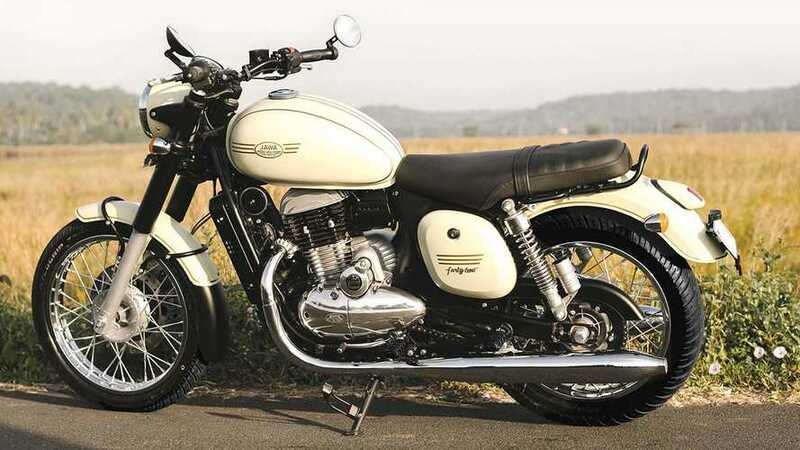 Siddhartha Lal, the Managing Director and CEO of Eicher Motors (the parent company of Royal Enfield) insists that while Jawa is definitely competition, it “will take a lot more to take away our pie” when it comes to market share. He continues, "Royal Enfield is an entrenched leader which has a strong distribution and aftermarket network with strong service backup and residual value. New entrants, of course, there will be many and more shall be coming up. There will be copycat types and there will be people doing totally different things and that is part of a competitive nature. We have a very good product line and very strong plans. We are on a great wicket, it's the others who have to try hard to even take a nibble out of us." Fun cricket references notwithstanding, he sounds a bit nervous to me.